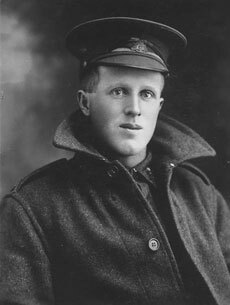 Samuel John ('Sam') Free and his younger brother Albert Ernest ('Bert') Free were born at Corack in the Wimmera District of Victoria in 1893 and 1894 respectively. Their paternal grandfather, William Free, had emigrated from Cambridgeshire fifty years earlier. Following the death of his first wife in Melbourne in September 1853, William went to work as a shepherd at the Mount Hesse station near Winchelsea where, in 1856, he married the boys' grandmother, Eliza Flavell. In around 1861 the lease to the Mount Hesse station was cancelled and William was forced to seek employment elsewhere. He eventually settled on land at Corack East, located roughly midway between the townships of Donald and Birchip, and remained there until his death by suicide in 1890. Click here to read more about the life and times of William and Eliza Free and their family. The boys' maternal grandfather, John Shepherd, had also emigrated to Australia in 1853. 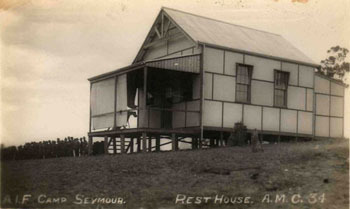 With his parents and siblings, he disembarked at Geelong and travelled overland to the Sutherland (later Rich Avon) Station located on the Richardson River near Cope Cope. John worked as a shepherd at Rich Avon and later the nearby Banyenong station where he married, in 1862, Johanna Mulchay who hailed from County Galway in Ireland. Sam and Bert's parents were Samuel Free and Fanny Johanna Shepherd who were married at St Arnaud in Victoria in 1891. Click here to read of their life and times. Together with his father and three brothers, Samuel had initially farmed land at Corack East. Following William's unfortunate death there in 1890, the families moved onto land located to the east of the township of Lalbert. By the time of the outbreak of the First World War, Samuel and Fanny had ten children, the eldest of whom, Frances Alice Free, had married and moved away. Sam and Bert (pictured below with their parents and siblings) were working as farm hands on their father's farm and were probably just beginning to enjoy life. 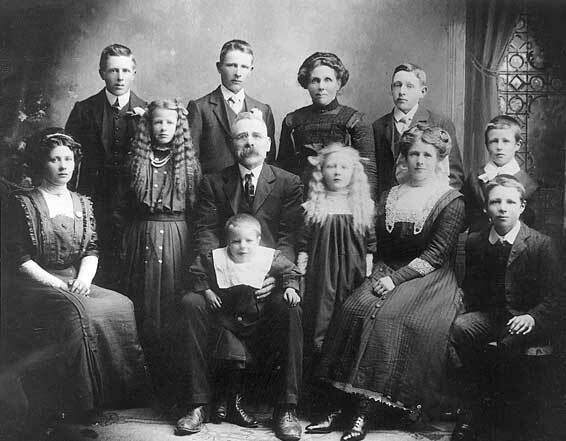 Samuel and Fanny Free and their family at Lalbert in 1911. Sam and Bert did not immediately seek to join the First AIF but continued to work on their father's farm at Lalbert. 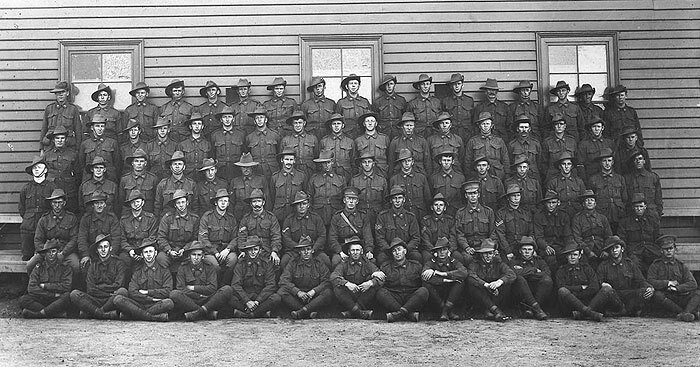 There they would have taken an interest in the experiences of their friends and relatives who had signed on - such as their cousins Roland Shepherd from Coonooer Bridge and Don McCallum from Corack East - and followed closely newspaper accounts of the exploits of the 70,000 Australians who had enlisted in the period between the beginning of the war and the landing on Gallipoli. As Christmas 1915 approached local newspapers also gave coverage to Billy Hughes' 'call to arms' which had been mailed to the 60,000 Australian males who were eligible for active service but had not yet attempted to enlist. In it the then Prime Minister suggested that although the nation's soldiers at Gallipoli had 'carved a niche in the Temple of the Immortals' in their battles against Prussian despotism, more could have been done. '[H]ad the number of our forces been doubled', Hughes insisted, 'many brave lives would have been spared, the Australian armies would long ago have been camping in Constantinople, and the war would have been practically over'. 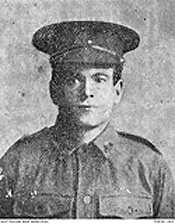 'If you love your country', Hughes concluded, 'then take your place alongside your fellow Australians at the front and help them achieve a speedy and glorious victory' (cited in the Donald Times, 17 December 1915). The Prime Minister's 'call to arms' was supported by newspaper editors and other 'war whoopers' across the country and was accompanied by a 'Christmas card' from the country's various recruiting committees asking all young men of military age to indicate whether and when they were prepared to enlist for the war. Those who were not prepared to join the fight were to submit their reasons for not doing so and the cards were to be filled in, signed and returned 'at once' to a local recruiting centre. We don't know whether and how the brothers answered their 'Christmas cards' although the fact they did not enlist until the middle of the following year, may indicate that they, like many others in the district, were either in no hurry to go or had decided to delay their decision at least until after the harvest was completed. Unlike the previous year when wheat had had to be brought into the region to feed the farmers' starving stock, the 1915 harvest was a bountiful one. It was triggered by drought-breaking rains that had brought joyous crowds from their beds to watch the long awaited water again flowing down the Avoca river and over the weir at Charlton. These and follow-up rains made travelling along the outback roads in winter a slippery and dangerous pastime, but they also produced some of the biggest wheat yields yet seen in the district. By the time of the arrival of Hughes' missives, all the farmers in the Wimmera, and their sons, were toiling from dawn until after dusk each day stripping, bagging and carting wheat for the Empire. Their wives and daughters were similarly labouring over hot stoves preparing meals for their menfolk as well as running the household and seeing the younger members of their families off to school. Even then they would find some time in the evenings to sew or crochet items for the local Red Cross society or for one of the many functions held across the district to raise money for Australia's war effort. ... stood hardships upon the desert with more seasoned troops ... [and] took part in the great Somme battle ... For two years past marvellous were the number of his escapes. Amidst thousands of killed and wounded he was without a scratch. Later on, however, wounds and suffering came from a shell that killed most of those around him. It is presumed that after recovering from shell shock that a summons came to return to the front. There he fell among the valiant dead [although] some peculiar circumstances surrounding recent correspondence cause some close friends to still entertain hopes for his safety (Donald Times, 12 June 1917). Samuel and Fanny would have been proud of their sons, although the mounting casualty lists and the return of the wounded and shell-shocked veterans of Gallipoli and the early campaigns in France would also have given them cause for concern. Their fears for their boys would have been brought home by the news of the death of James Perry (pictured on the right) who died of wounds in September 1916 while serving with the 60th Battalion in France (Donald Times, 5 September 1916). 'Wheeler' Perry as he was known, had been at primary school with Sam and his older sister Frances. He had left behind a young wife and two small boys. 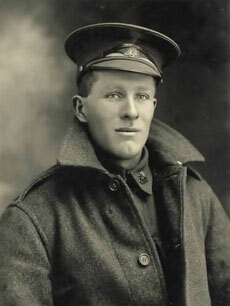 His younger brother, Herbert, had been killed in action at Bullecourt a few months earlier. But like most parents, they hid their fears for the sake of their children and the good of the nation. They also allowed themselves to be distracted by the patriotic speeches of their religious and other leaders and the other trials of day-to-day living. Fanny had the rest of her large family to look after. Samuel, along with his brothers James and William Free, still had plenty of land still to clear and, in the new year, bountiful crops to harvest. 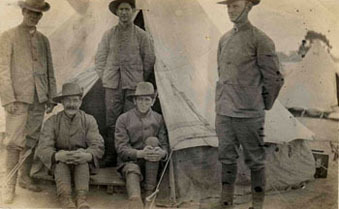 seventh and fifth from the right respectively. on 9 January 1917. He wrote on the back: 'this is all I could get in this line decent up here and I wanted to catch this mail. In due course Sam and Bert and their colleagues travelled by train from Seymour to Melbourne where they had their photos (shown below) taken at the Central Studios at Ripponlea. 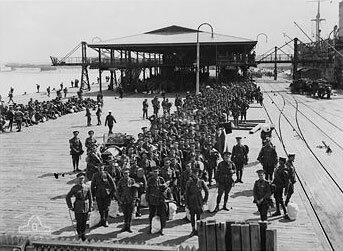 Together with hundreds of other young men, they lined up on the docks at Port Melbourne ready to board the the troop ships that would take them to England. The boys' ship was the SS Port Lincoln whose decks, on the morning of 20 October 1916, were lined with soldiers gripping hold of thousands of red, white and blue streamers thrown to them by loved ones and other well wishers gathered on the wharf below. The men were boisterously loud, their officers, watching from the side, quiet and self-restrained. Amidst ringing cheers, the vessel cast off at midday, making for the entrance to Port Phillip Bay through which the parents and grandparents of so many on board had earlier sailed to begin their lives anew in Australia. Some among the women watching wept as the troop ship swung about. Others stood very still, watching but not seeing, oblivious of the throng about them and its clamour. Click here to read about Sam and Bert's voyage to England via South Africa and Sierra Leone. 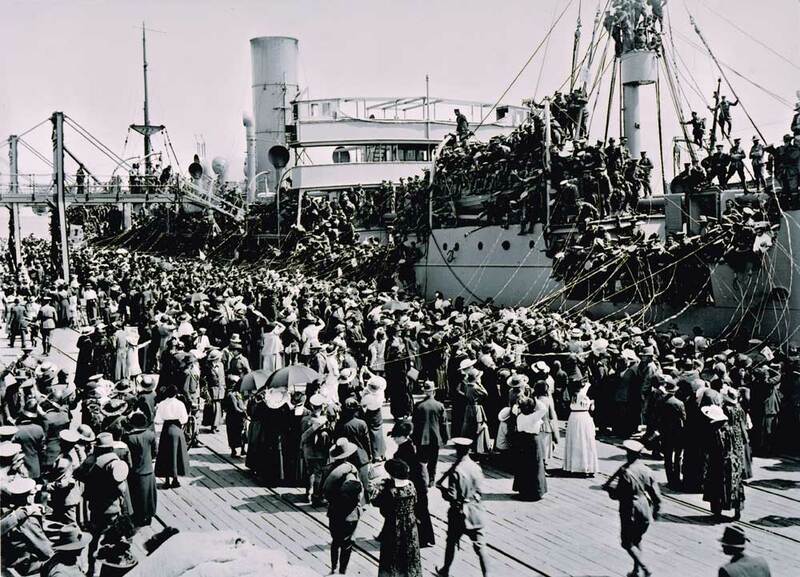 A17 Port Lincoln about to cast off from Port Melbourne dock on 20 October 1916.